If you need a bit more fuel flow than the A1000 under boost, choose the Eliminator. Designed for forced air induction machines running on the street and at the track, this pump gives you the unequalled durability of the A1000 pump with about 35% more flow at pressure. Proprietary aerospace composite technology is built into the patent-pending "dual chamber" pumping mechanism.Pump flow exceeds 800lbs. per hour @ 13.5 Volts and 45 PSI. Inlet port is -12 AN, outlet port is -10 AN.The ultimate continuous duty street warrior. 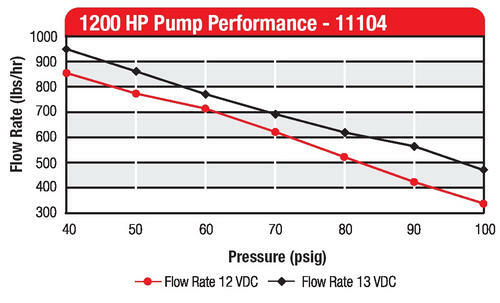 Supports more HP in a true street car than any other pump built. 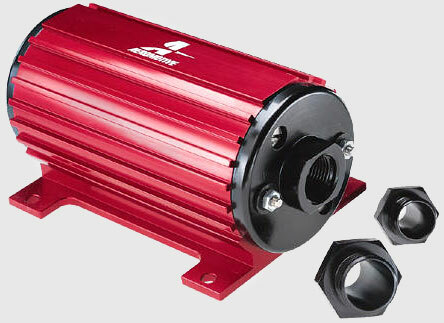 Billet Pump Controller (P/N 16302) recommended to keep fuel cool on long trips. Want this item shipped out today, April 24? Order within the next 1 hrs 27 mins.